I have been a medical librarian for 30 years. My current position is Resource Center & Archives Coordinator for the Clinical Nursing Institute at Missouri Baptist Medical Center in St. Louis, MO. 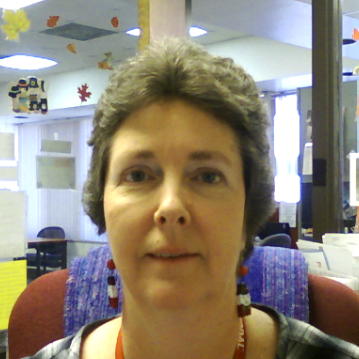 I have been an active member of the St. Louis Medical Librarians, MCMLA, and MLA for the past 29 years. I have served on 3 MCMLA conference planning committees, as well as holding numerous offices & committee chair positions, such as Secretary, Nominating Committee, By-Laws Committee, and Membership Committee, and am a past president of the St. Louis Medical Librarians. These days, my passion is Evidence Based Nursing Practice, and I have taken a very active role in my institution’s educational & shared governance initiatives and their policy & procedure committee. We have developed an Evidence-Based Practice Mentorship program and have partnered with local universities to offer their master’s level students in nursing research the opportunity to serve a practicum in evidence based practice at Missouri Baptist Medical Center. I am honored to serve as MCMLA President. What impact has the recession had on our members? We have seen librarians asked to downsize their collections, services, or staffs. We have witnessed the closing or consolidation of libraries in our region, whether by layoffs or by attrition as more and more members of our profession reach retirement age. We must continue our efforts to recruit members and to follow-up with members who do not renew their memberships. We must remember that there is an untapped resource of public librarians who are asked to provide an increasing amount of health information to consumers. We should reach out and offer the benefit of our expertise to them. They could be potential members. We have increased our recruiting efforts at our regional library schools. We should keep those channels open and encourage the offering of health sciences courses at the schools. Perhaps some of us have an inner teacher waiting to get out? My first priority is Advocacy. We must open the channels of communication with our administrations BEFORE decisions are made regarding librarians and library services. We must use the tools currently available to us such as our ROI calculator and MLA salary survey data to impress upon administrators the importance of library services to their institutions. This contact should be made through channels of communication used by administrators. We must publish information in the journals and newsletters that THEY read, join THEIR listservs, send letters, flyers, dashboards to THEIR office addresses. We must publicize awards and honors given to our members by sending notification to their administrators of their achievements. While it is supportive to send a strongly worded letter of protest once the decision has been made to close or downsize a library, the time to advocate is BEFORE the decision has been made. We do a pretty good job of promoting best practices in our region. The question is, is pretty good, good enough? How can we do a better job? One avenue for research is to survey the hospitals in our region. Do they have a library? Do they have a professional librarian? Where do they get their health information? How does this affect neighboring hospital libraries? To promote best practices and innovations, I encourage everyone who is doing something innovative to submit an article to our newsletter. Another means of communication that MCMLA has is our listserv. This is a wonderful communication tool that lends itself beautifully to collaboration. I encourage everyone to make more use of it. Ask one another for ideas, share your successes, offer suggestions. The listserv isn’t just for meeting announcements and job openings. Last year, the Wichita planners introduced the Symposium of Sages CE and the Technology Sherpas. That great tradition carried forward to this year’s conference. I encourage future conference planners to consider continuing the tradition. If you have done something noteworthy, consider presenting a poster or a paper. Contact the education committee and ask about hosting a webinar. Collectively, we know a lot. We need to continue to share our knowledge. We have been approached by the South Central Chapter to consider a joint meeting. The first year available for both chapters is 2014. We should consider this option for future meetings so as to share the planning and the costs while hopefully attracting a larger audience. We must experiment with the virtual meeting format as we move forward. Meetings can be blended, with an onsite as well as a virtual component. Travel money is depleting as is the availability of time off to attend out-of-town meetings. The virtual format could allow more members to participate in our annual meetings. Researching the mechanisms for virtual attendance will be a big part of making this successful. We need to find possible formats & discuss whether this is something the chapter wants to invest in so that we don’t exchange one financial burden for another. As we have heard for years, tuition alone does not support the operations of a school. Neither can dues alone support the activities of an organization. We have relied on our annual meetings to generate additional revenue for our operations, but with the economy the way it is, we cannot expect to continue to gain the same large returns on our meetings. 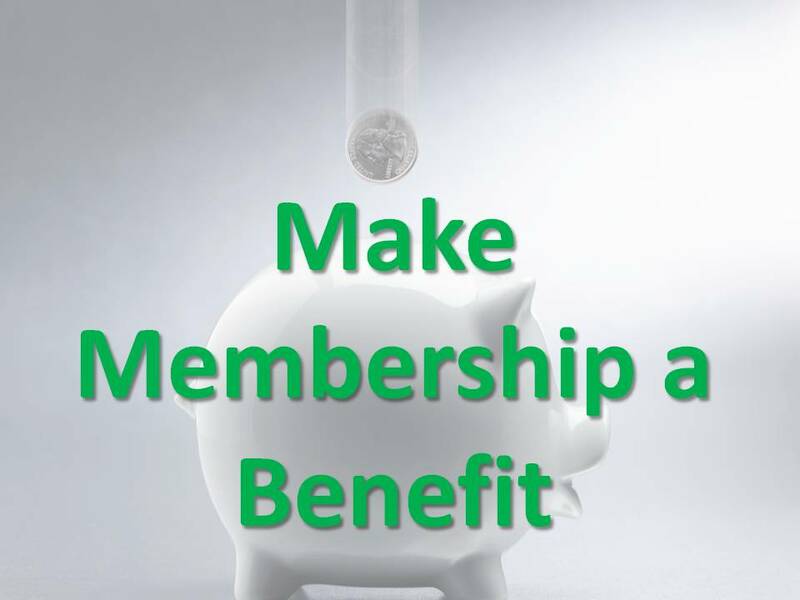 We must strive to find ways to continue the financial stability of the organization, as well as to offer help to our members so they can take advantage of continuing education opportunities. We have begun to research the viability of an endowment fund and will continue to report on our progress. I have published the new list of officers, committee chairs, and committee members on our website. I would like to take this opportunity to thank everyone who said “yes” when I called. If you would like to volunteer for a committee or task force, please contact me or the chair of the committee you wish to join. Below is the 2011-2012 Leadership Meeting Schedule. The dates will become links as the meetings occur and the minutes are approved. What drew you to the field of medical libraries? It was quite accidental, really. I thought I wanted to be in public libraries. There weren’t even any medical library classes in my library school. When I graduated, I found a job at the St. Louis Medical Society, & the rest is history. What is the most enjoyable/least enjoyable thing about being a librarian? Most enjoyable is the potential to learn something new every day. Least enjoyable is office politics. How has the library changed since you first started working? When I started school over 30 years ago, there was little if any automation. We did searches by going through the various indexes and typing up lists of citations that met the criteria. My first electronic search was on the medline database with a dial up modem where the entire search and all citations printed on thermal paper. You had to map out your search very carefully & enter the entire search string all at once. When you signed off, there was a summary at the bottom of the last page with how many minutes of online time you had used & how much that cost. Cost was always passed on to the patron. Interlibrary loan was also accomplished on a typewritten ALA form of carbonless paper. We had a 3 inch binder that was a Union List of serials for our geographic area, so that’s how we knew where to send the form. How has having an MLS helped you?/What’s in an MLS that can’t be obtained in a BS? My MLS helped me to get my first job. It also taught me a lot about critical thinking, and because my MLS degree required a thesis, I learned a lot about research projects, surveys, and writing for publication. My BA was also in library science. What that meant was that I took all of the level 1 library courses during my junior & senior years & started my MLS at the 2nd level of library classes. What was different in the BA level, was the number of general education courses that allowed me to become more well rounded & study areas that interested me. Most BA or BS programs are not in library science, so I would have to say that is the major difference. Where do you see the future of libraries/librarians? I have been reading a lot about “Libraries Without Walls”. I think this is the future of libraries. I see the library as less of a physical location or physical collection and the librarian as the gateway to information. The librarian will still know how to organize and access the information in the most efficient way possible, but there won’t be a physical location or collection. What kinds of people need libraries the most? I think everyone needs information. The ones who need it the most are the ones who don’t know they need it. It is a very dangerous thing to think you don’t need any more information. It is a smart person who knows what they don’t know & is not afraid to ask for help. What are your thoughts on censorship? A couple of thoughts. The librarian in me says that we should make all information & literature available and not be concerned about the content. The parent in me says that we might want to be more careful which books are available in the school library and on recommended reading lists for our children to be sure that we are not sending the wrong message. That said, I think it is the parents’ responsibility to be aware of the appropriateness of the books their children read or the movies or TV shows they watch. As a librarian, I don’t feel that it is my role to censor what I put on my shelves. What does freedom of information mean to you? It means that the information is available. It does not mean that it is free. There is a cost to providing information and that cost may need to be passed on to the end-user in some form. Freedom of information does NOT mean that private information must become public, however. How have libraries shaped you as a person? I am a life-long learner. I have spent most of my life as a heavy library user as well as a librarian. How many books do you own personally? Surprisingly, I don’t own a lot of books. I use my public library. I am not one that reads the same book multiple times or purchases videos of movies to watch them over and over. So in my house, I might own 200 books – most of them non-fiction, reference-type materials. I now have an e-reader and I borrow a lot of e-books from my public library. My e-reader’s archives contains about 100 titles which represents about a year worth of reading. I have not, however, read all the books in my library – not even close.